Feedback from students regarding a course they have taken. What were the BEST ASPECTS of the training? What aspects of the training were MOST IN NEED OF IMPROVEMENT? Are you undertaking an APPRENTICESHIP OR TRAINEESHIP? 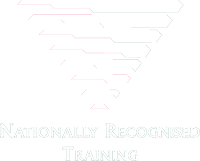 Did you get any RECOGNITION OF PRIOR LEARNING towards your training such as subject exemptions, course credits or advanced standing?